Waverley Excursions Ltd. has kindly offered the following concessions for Waverley sailings to PSPS members for the coming season. 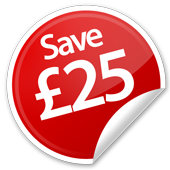 Members can purchase £5 vouchers at a cost of £4 - a saving of 20%. These vouchers can be used like cash to buy sailing tickets aboard the ship or, if you want to be sure of a place on a particular trip, in advance from the Waverley Excursions office. There is a minimum purchase of 20 vouchers but no maximum and they must be bought prior to March 31st. 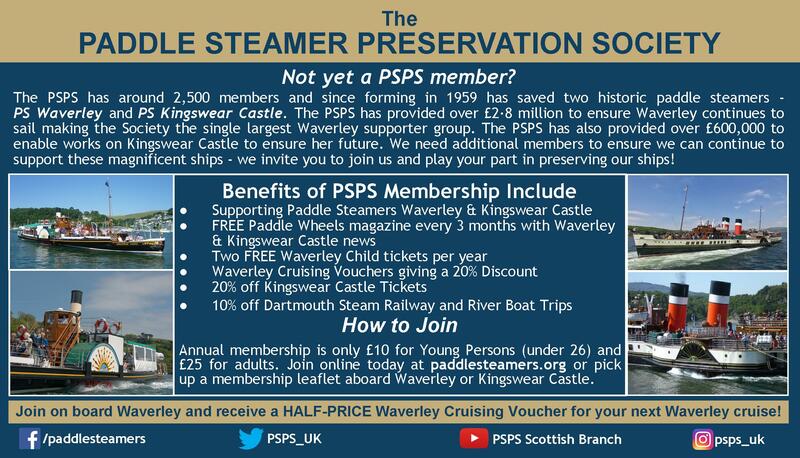 Offers of free Waverley child tickets and discounts on Dartmouth Steam Railway and River Boat Company sailings are also still available exclusively to PSPS members. To order the sailing vouchers simply send a letter to the Waverley office stating how many vouchers you want - 20 or above - and enclosing a cheque. Each voucher costs £4 so 20 cost £80 etc. Alternatively place your order by phone. You must quote your PSPS membership number however you order. To obtain Friends sailing tickets first look at the Waverley Excursions website here to see which one you want. Then order as for discount vouchers. Again you must quote your PSPS membership number. Your membership number is shown on each 'Paddle Wheels' envelope. If you do not have a note of it, please contact the Membership Secretary here. REMEMBER: These benefits are only available to members of the PSPS. 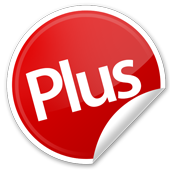 Join now if you are not already a member!